Location, Location, Location! This gorgeous home will wow you from the moment you enter the front door with open floor plan, gorgeous hardwood flooring throughout and beautiful kitchen with large island, quartz counters, and designer details. The updated bathrooms with nice finishes are sure to please and the huge bonus room with sliding glass doors is perfect for flex space, home office, or family room. Extended length 2 car garage ideal for large cars and storage. Relax under the covered patio and pergola and enjoy the lush grassy backyard or sit on your front porch and enjoy the mountain views. 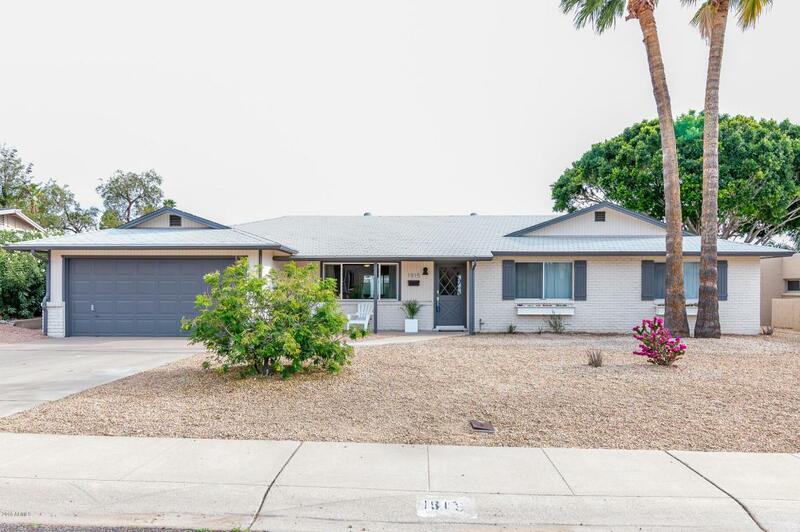 Dream neighborhood in Madison School District within walking distance to Granada Park and Piestewa Peak Trails. Just minutes from Biltmore, shopping and restaurants. This home has it all! Listing courtesy of London Pierce Real Estate.